Just a quick one, what's the deal with sending the gifts, do we drop hits to our identities, or do we just keep schtum? It's personal choice. Some prefer to keep the "Secret" in the Secret Santa, others sign their real name, some their FT handle. Second gift sent today. My mission as santa is completed. 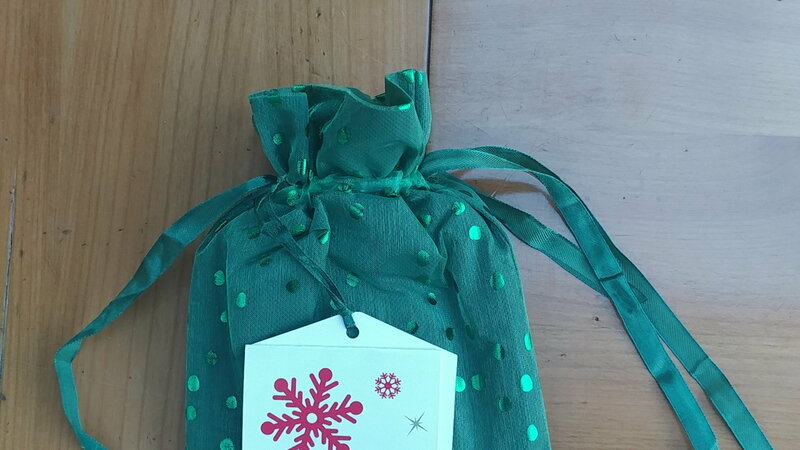 I hope the gifts are well received and that the recipient enjoys them. Just realised I forgot to include a note in the second package, so I may need to add a follow up shipment. Totally up to you. Some people identify themselves, others don't, others will identify themselves by handle, others use their real names. I sometimes do, sometimes don't. I've made some great friends through this, and found out that, years ago, had we not adopted Mauser, an FTer would've pulled him for a rescue. Tracking tells me the parcel is out for delivery! Ordered and sent the gift. I had a hard time figuring out what to get and online research didn't produce the results of earlier years! Hope you like the gift...its my favorite product! How have people handled that previously, or just send the virtual and lack some of the excitement? I always follow up or ask someone to follow up with virtual gift cards, as they sometimes end up in spam folders. Might our Head Elf be a member of the tribe? We got back to the workshop last night. We survived coach bulkhead on JAL NRT/JFK. It's a much nicer ride than Santa's Sleigh. I'm currently watching the Macy*s Thanksgiving Day Parade. I'll start processing the numerous PM request for additional Santee information. Please note > not everyone responds quickly to my PM. Insert rolleyes here. I will forward all responses as soon as they're received. Kapish. One last thing, please do not copy/paste everything that you sent to Santa in your details. All I need is the name and your questions. It will help reduce clutter in your PM. Please do not send your questions to Santa. The old boy is busy enough. Remember when people communicated with pen and paper? Crane & Co. is premium stationery. I use their Florentine pattern. I love stationery! Sadly, I like the majority of folks, can't remember the last time I actually hand wrote a letter or note to someone. I admire those who still do this. They are also the exclusive supplier of the paper for US paper currency (and other countries well). They were the ones that developed the lenticular strip on the $100 bills. A few years ago, I had the opportunity to take an exclusive tour of their factory in Dalton, MA led by Douglas Crane himself. I know your pain. I ordered something on the 16th- the day we got our assignments. It won't even ship until next week. Makes me nervous since we're on a deadline and I don't want to be on the naughty list. Thankfully, I'm shipping it direct to my Santee. So sorry. I'm guilty of this. And I just sent more before seeing this. Promise I'll cut all that out in future PM's. I'd like to confirm receipt of a box from a place called Beanstock on Wednesday evening. Course, I was knee deep in pie, stuffing, and a host of other T-day prep so I didn't get around to saying anything until now. I sniffed at the box under the flaps and it smells DIVINE. Seriously, Christmas officially can't come soon enough. That box SO lifted my spirits. Pleasantly surprised to open up my first gift of the season! 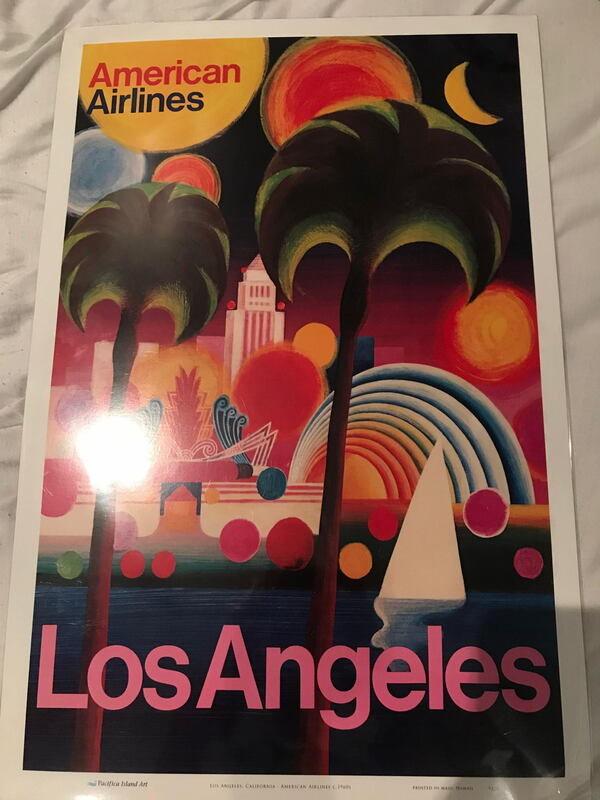 A lovely vintage poster of my most frequently flown airline! And my new place could certainly use some decor! Thanks for doing your research, Santa! Redhead, onetess and Tpa-flyer like this.